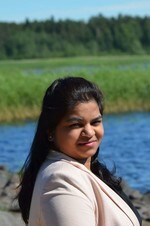 Priyanka Shrivastava is a doctoral student at the University of Eastern Finland, Joensuu, Finland. She is a human resource professional and has substantial experience in managing human resource programs. She has strong and proven skills in change management, leadership, transformations, and the entry-till-exit cycle of employee development in a fast-paced international environment. Her current research focuses on trust in leadership, organisations, and human resource practices.